Alliander has a diverse workforce. In terms of competences – we employ many engineers and ICT staff, but also experts in change management and finance – as well as in terms of age, gender and cultural background. Every staff member makes a contribution to our common corporate objectives, based on their own personality, skills and experience. Alliander aims to be a diverse company, where everyone counts, feels at home and can use their talents to the full. Though energy-related jobs are regarded as typical men's work, we try to build and maintain a varied workforce. This is because we believe diversity to lead to better decision-making and cooperation. Moreover, we think that colleagues must be able to be themselves, irrespective of their gender, age, (cultural) origin, religion, nationality and sexual orientation. That is why we encourage the recruitment of women in leadership positions, members of non-western ethnic groups and people at a distance from the labour market. In 2016, we employed 7,148 people. The majority (80%) are male. We see a proportionate representation across age groups. The percentage of women in leadership positions decreased last year from 25.6% to 24.7%. We have initiated targeted efforts to increase this percentage. Alliander is convinced that people in work feel more engaged with society. People at a distance from the labour market (e.g. due to physical or mental impairments) need support to find suitable employment. In 2016, we offered apprenticeship-based jobs to a total of 104 youngsters, over-50s and people with a physical impairment (2015: 103). In Amsterdam, we helped young candidates find work via I-MPower, a joint youth project with Nuon and Philips, the municipality of Amsterdam and local parties within Amsterdam. 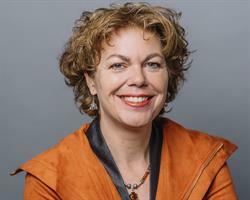 Ingrid Thijssen: Top Female Executive 2016! Ingrid Thijssen, member of the Management Board of Alliander, is Top Female Executive of the year 2016. Promotion of diversity was an important criterion for her election, as were span of control, seniority of her position, results achieved and her role in innovating the organisation. The jury praised Ingrid “for her courage and connective leadership style, which enable her to play an important role in a male-dominated world, and in a sector with great social relevance”. The Social Plan 2013-2016 expired in November 2016. Alliander consulted with the Works Council and trade union representatives about the situation in the period thereafter. Based on these talks, new arrangements were made about the social policy in relation to organisational changes at Alliander in the coming years. Underlying this dialogue was a shared objective: to avoid involuntary unemployment (redundancy). Good strategic staff planning and career policies can prevent compulsory dismissals. With some organisational developments, additional measures may be necessary to encourage employees to move on of their own accord. We facilitate the long-term employability of all our employees. Despite all these efforts, redundancies cannot always be prevented. So we still cannot do without arrangements such as those contained in a social plan. For this reason, the parties have agreed on a covenant that will act as a safety net for redundant employees after the Social Plan expires. The covenant is valid from 1 November 2016 to 1 November 2019. The transparency of compensation ratios within organisations is the subject of global debate. Alliander aims to report openly on this issue. The total income of our CEO, is 5.1 times the median salary of all Alliander employees in the Netherlands. This is lower than the average of the 1,000 largest companies in the Netherlands. This ratio will fall further in the coming years as a result of the voluntary basis to a salary reduction to the capped remuneration level, on the understanding that existing contracts will be respected in parallel with the staturoty transitional periods. In the past two years, two large premises – in Duiven and Arnhem – were redeveloped and underwent a complete metamorphosis. To achieve this, we opted for a different contracting method, involving integrated cooperation between all parties, including architects and builders. 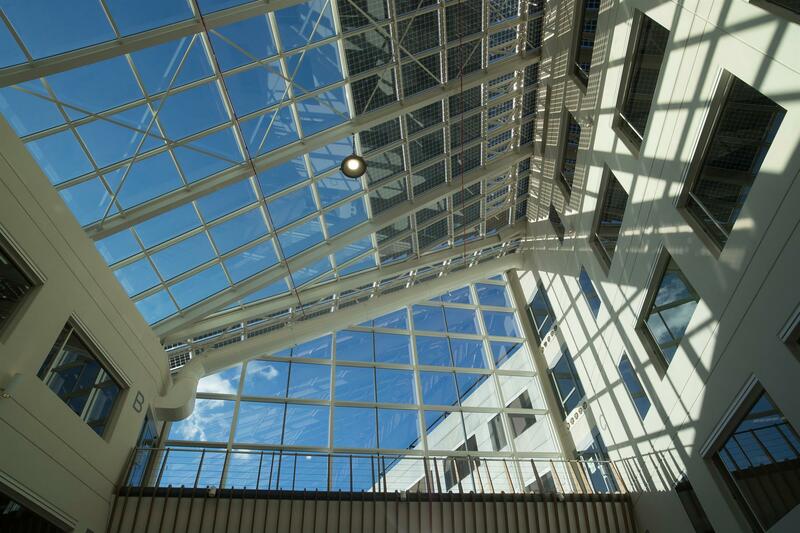 This resulted in two buildings that currently merit best practice status for sustainability and circularity. Since the Duiven premises were opened in November 2015, more than 5,000 visitors interested in sustainable and circular renovation have received a tour of the building. Extensive energy-saving measures and renewable energy generation are expected to produce almost four million euros of avoided environmental impact across the building's life span compared to a standard office building in the Netherlands completed in 2016. Energy saving facilities include gas-free heating and cooling systems, recirculation, innovative insulation and solar panels. In addition, recycled materials were used and circular aspects were incorporated into the design, construction materials and business model. Examples are the ’light as a service’ lighting concept and fittings from recycled condensers. Thanks to the reassembly approach used for the conversion, the roof in Duiven contains 30% less steel than the market average. In addition, recycled materials were used. The environmental impact of the construction method and materials was significantly reduced to 5 million euros in terms of social costs, while we also achieved a high BREEAM score (standard for measuring the sustainability of buildings). The Duiven building has now been certified to the highest standard (Outstanding). Water-saving measures will also reduce Alliander's use of drinking water by an expected 7 million litres.